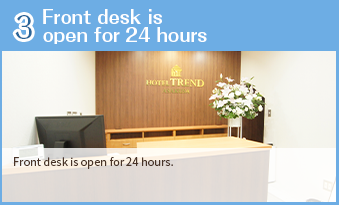 Hotel Trend Asakusa is a great place to stay in Tokyo . "Hotel Trend Asakusa" was newly opened on July 29th, 2016. 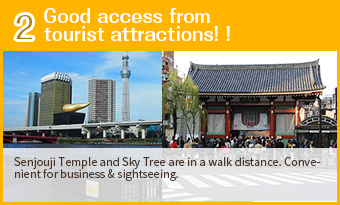 Asakusa Station, Tsukuba Express Line is a 5-minute walk, and Sensouji Temple is a 5-minute walk away. 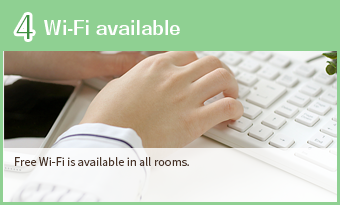 Our guest rooms are greatly useful for various purposes, mainly for couples and families. (Deluxe Single Room, Double Room, Twin Room) As neighboring facilities, 5-minute walk (15 minutes by train) from Asakusa's new tourist spot, Tokyo Sky Tree, 5-minute walk to retro amusement park, Hanayashiki, and 3-minute walk to Asakusa entertainment hall. LAWSON Store is at 2-minute walk, and there are lots of restaurants in the neighborhood. © 2019 Hotel Trend Asakusa All right reserved.